If you’re looking for unusual things to do in Hocking Hills, look no further than the Moonville Tunnel. 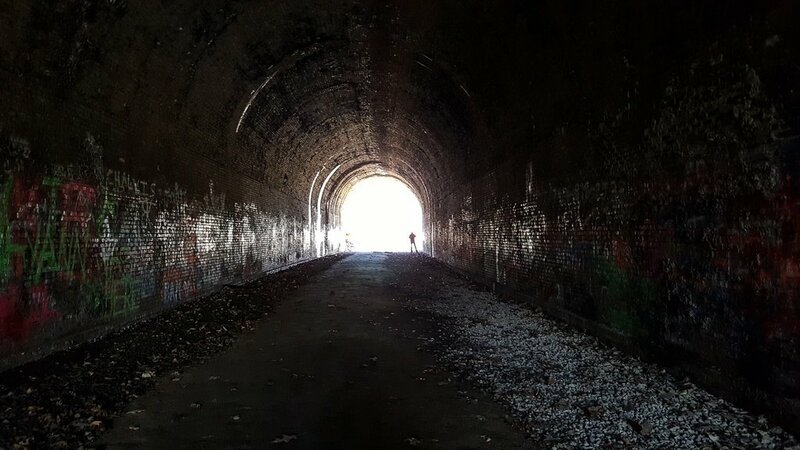 The tunnel is off the beaten path and not an attraction you’re likely to find unless you know exactly where to look. Heck, the first time I sought it out, I missed it too! It turns out that I was almost to the tunnel, but I thought I was lost and turned around. 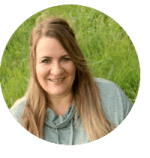 I’ll share directions at the end of the post, so you don’t make the same mistake that I did. 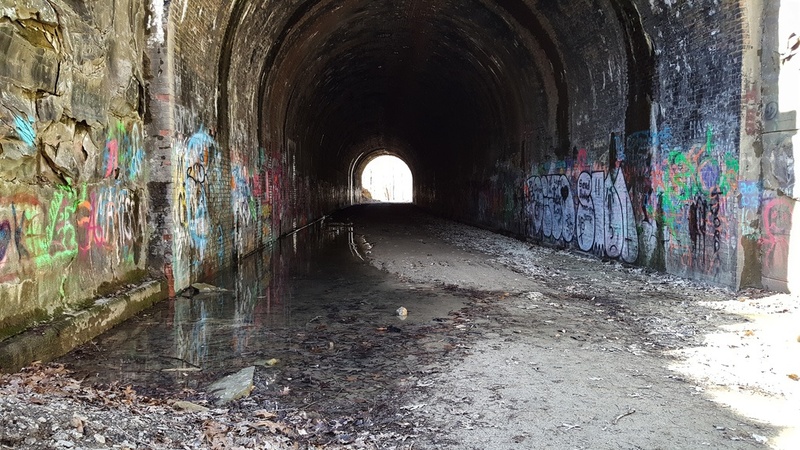 You’ll find the tunnel a short distance from Lake Hope State Park, situated within Zaleski State Forest and part of the popular backpack hiking trail that traverses the area. 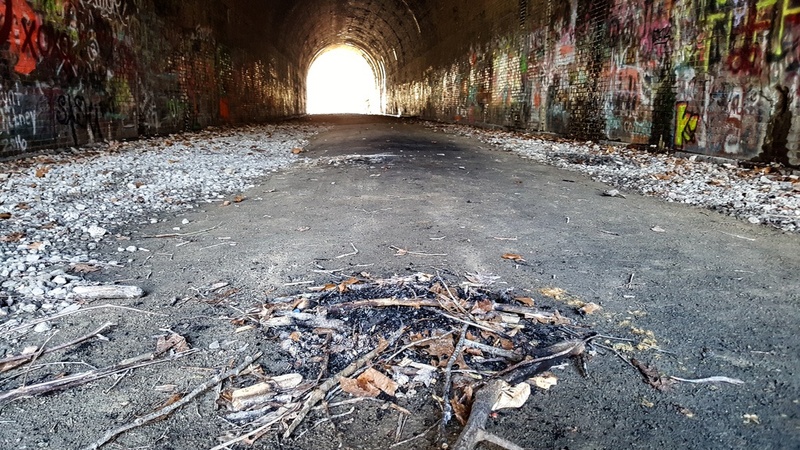 The tunnel is now part of the Moonville Rail Trail which purposes to repurpose a 16-mile stretch of the former Marietta and Cincinnati Railroad. 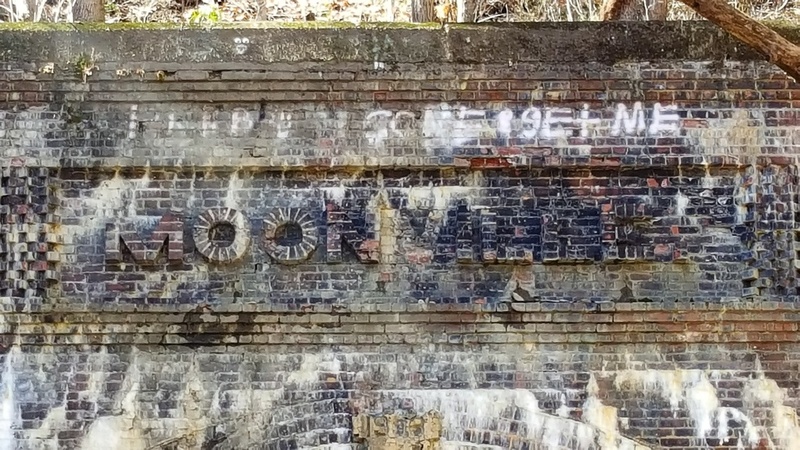 Like many of the small towns that are found in the Hocking Hills region, Moonville was primarily a mining town. Moonville experienced its heyday during the mid-1800s, in part due to the C & M railroad. At its height, there were approximately 100 people who lived within a few miles of Moonville, Ohio. The C & M Railroad eventually became the B & O Railroad and operated until 1988 when the rails were pulled up. Today, the only remnants you’ll find to prove that the community even existed is the small Moonville cemetery and the abandoned tunnel. 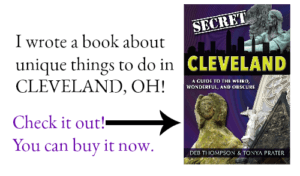 LOOKING FOR MORE THINGS TO DO IN HOCKING HILLS? – You’ll also find these covered bridges in Vinton County. 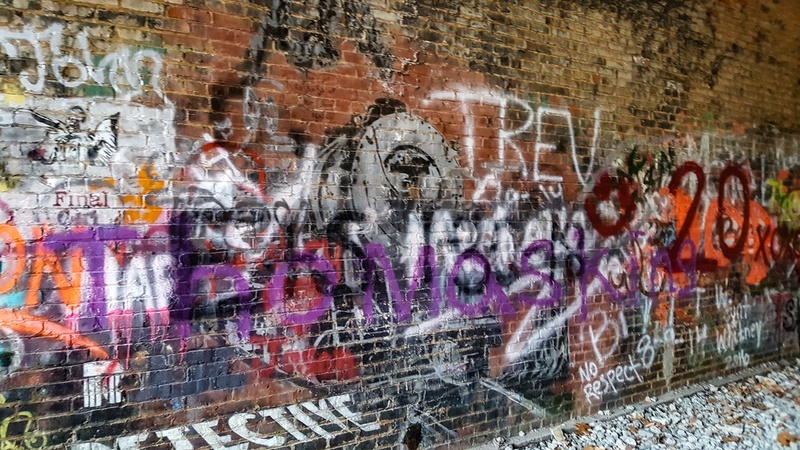 Is Moonville a Haunted Tunnel? 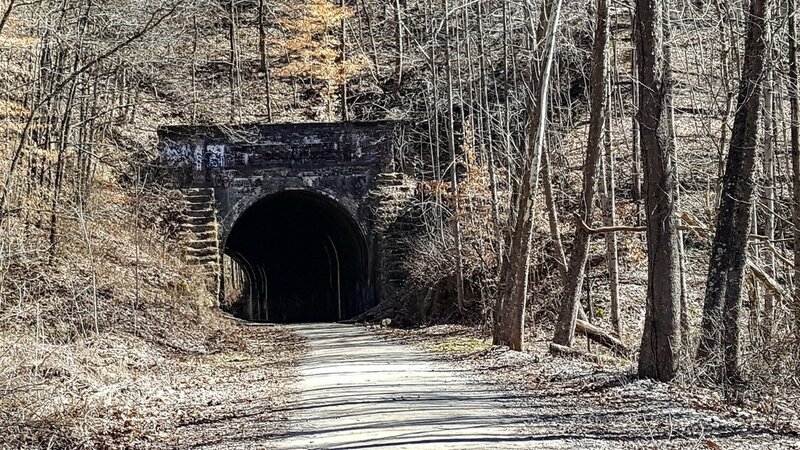 According to some, part of the allure of seeking out Moonville Tunnel is the hope of experiencing something out of the ordinary or a ghost encounter. 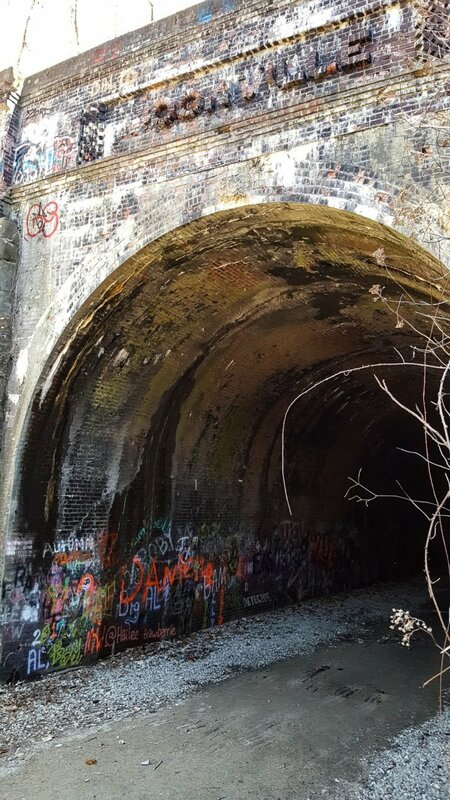 Some have claimed to experience “an eerie feeling” in the tunnel and the legends that stem from the days when the Moonville community thrived if you can say that, lend themselves to stories of the paranormal. More than 25 deaths, some railroad employees and some townspeople, have occurred near Moonville as a result of the railroad. While there are several shadowy figures that have been recorded through the years, the most common apparition is an engineer who has been seen for over 100 years in and around the ghostly tunnel. 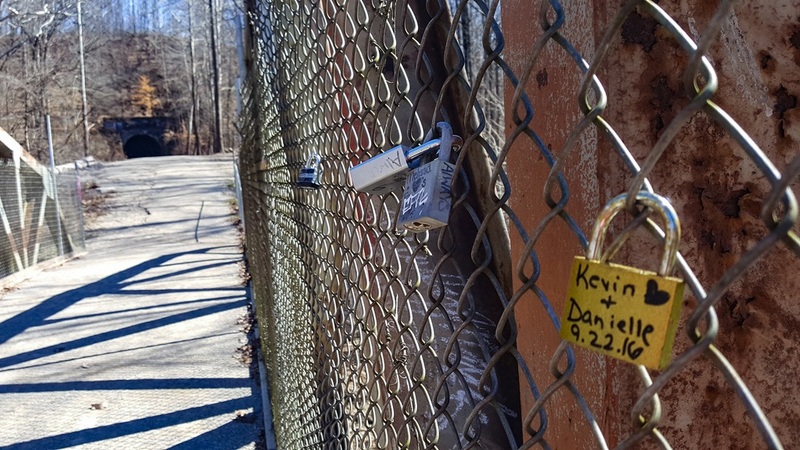 To reach Moonville Tunnel from near the dam at Lake Hope State Park, follow State Route 278. Look for Wheelabout Road and turn left. Wheelabout Road will turn towards the right. Continue straight to Shea Road. Follow Shea Road for about a mile. Shea Road will then turn into Hope-Moonville Road. 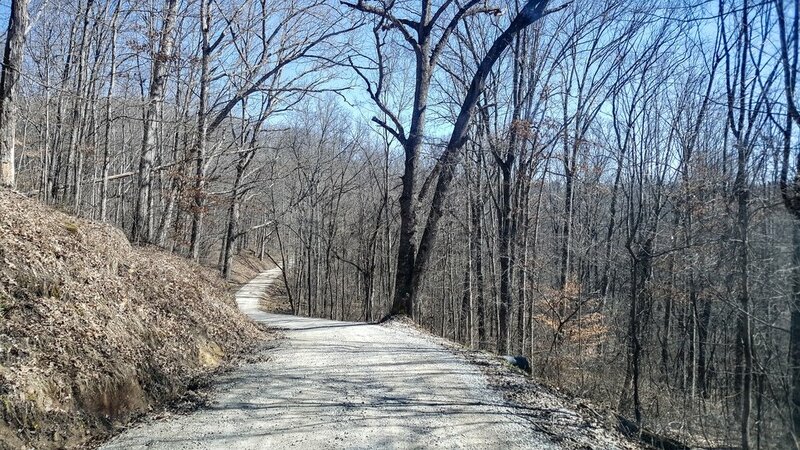 The road will now be a gravel road and in some areas, you’ll find it is pretty narrow. Once you cross a one-lane bridge, you’ll find the parking area for Moonville Tunnel on the left. The tunnel will be visible from the parking lot but don’t stop there. Walk across the footbridge to the tunnel which is about 100 yards from this point. You’ll drive for about 2.6 miles from the time you get on Shea Road. Like much of the Hocking Hills area, cell service is spotty, which means you’ll likely lose reception when seeking out Moonville Tunnel. Make sure you know exactly where you are going and how you will get there. I suggest printing directions ahead of time. Don’t forget the insect repellent! 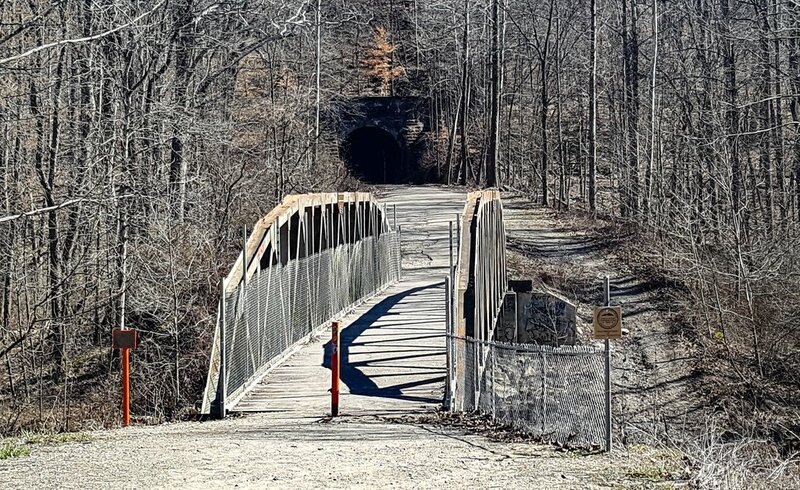 The tunnel is located in the woods and mosquitoes and small biting flies may be present. Restroom facilities are not available so make sure you “go” before visiting. You’ll find restrooms at the Hope Furnace or Lake Hope State Park. The tunnel is remotely located, and I may be a bit wimpy, but this is one spot that I probably wouldn’t feel comfortable visiting alone. The tunnel is wheelchair and stroller accessible if you park in the parking lot. 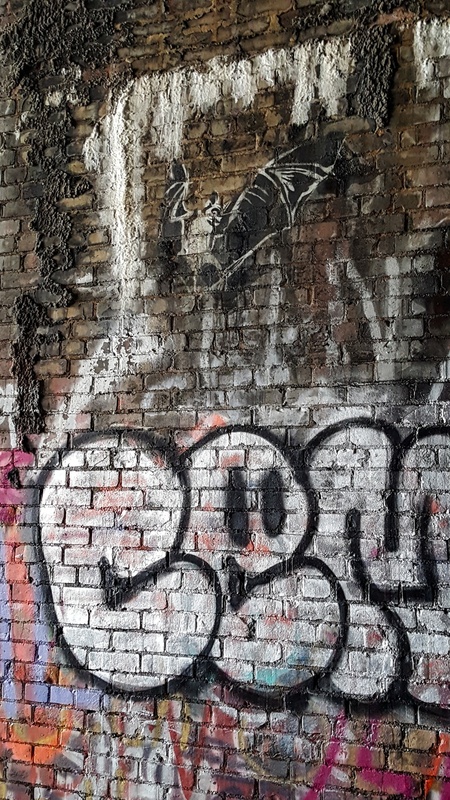 If you plan to walk through the tunnel (which you should), you may find a flashlight helpful, even during the day as the tunnel gets dark in the middle and you’ll want to look at the artwork. 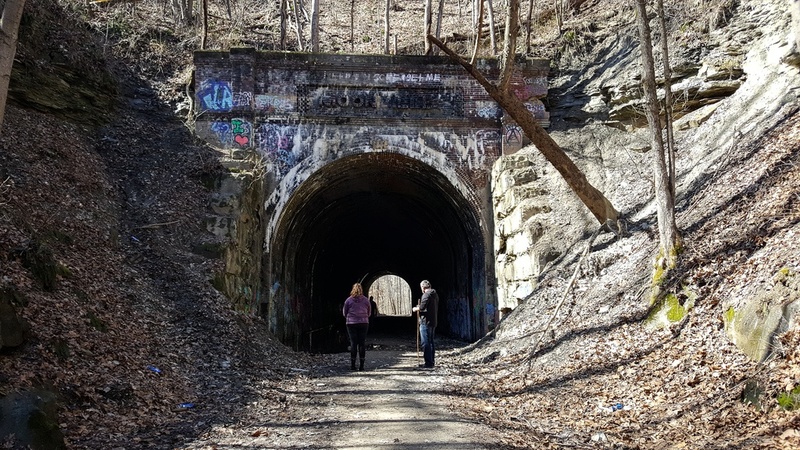 Have you been to the Moonville Tunnel in Vinton County Ohio? 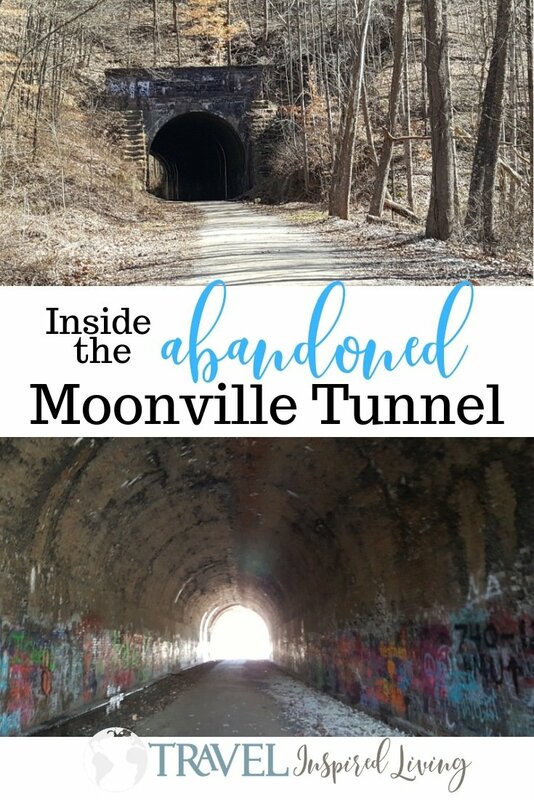 We love the Moonville Tunnel and visit any time we go to Lake Hope or Hocking Hills. 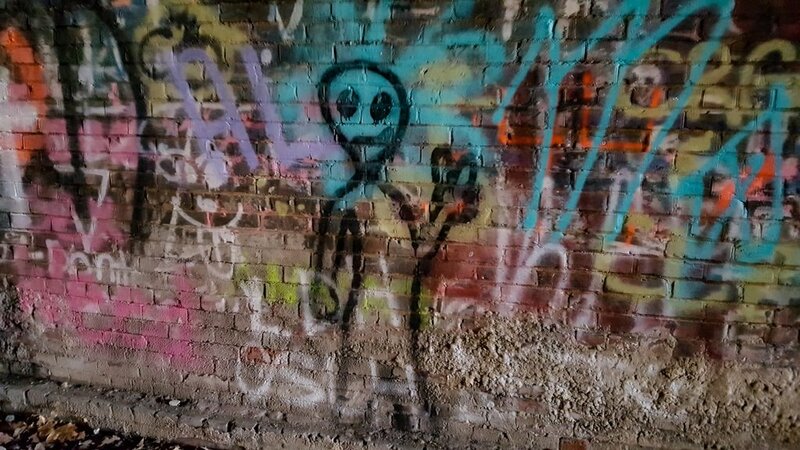 Have you been to the Kings Hollow tunnel? It’s about a mile away from Moonville and was on the same train line. It’s even creepier, if you can believe it.